I can honestly say that this year has been the busiest in terms of travelling for me. Over the course of the summer I took no less than 6 trips, most of them on planes. I like to think of myself as an excellent packer, but to be quite honest; I’m still horrible at it. Is it just me, or does packing get harder and harder each time? I always want to take more. To help myself out a bit, I decided to come up with a core selection of items that I will need on each trip. After that core list is packed, I’ll add in various other fun accessories and pieces. As we’re well into autumn, I thought I would chat about my fall travel must haves. First up is a nail polish that I had been trying to get my hands on for a while. Every time I stepped into a Sephora, I would race to see if they had it but with no luck. I found it on a random whim of a trip and I couldn’t be happier. The Nails Inc Gel Effect Polish in Kensington High Street is the perfect colour for fall. It’s vampy without being too gothic and looks great on so many skin tones. The formula is great and I haven’t had a problem with chipping yet. 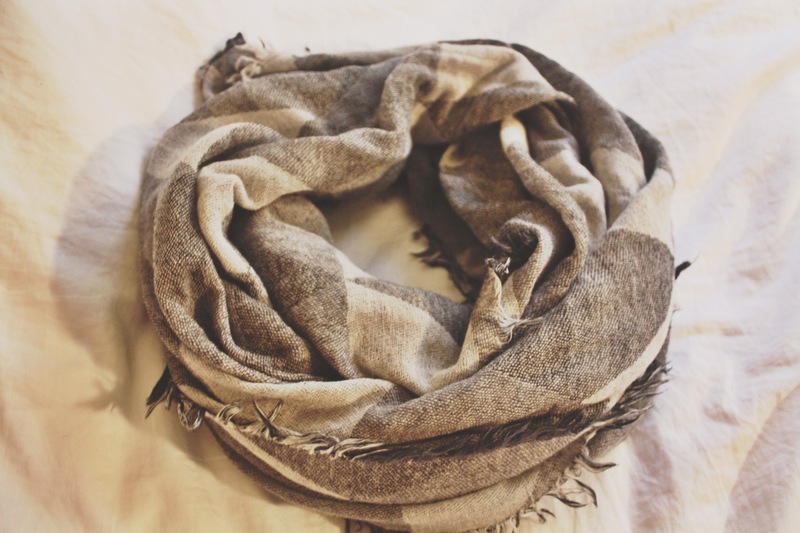 Next is the most perfect scarf I have ever owned. On a recent work trip to Atlanta, I made a journey to Madewell, a store we don’t have in Canada. This laid back, baby sister of J Crew a great mix of classic pieces with just a little bit of trend. I stumbled across this scarf and debated about it while taking one last walk around the mall, I really wasn’t sure if I wanted to spend close to $70 on a scarf. I couldn’t get it out of my head and decided to go for it. Boy I’m glad I did, I wear it almost every day and it’s so cozy and warm! 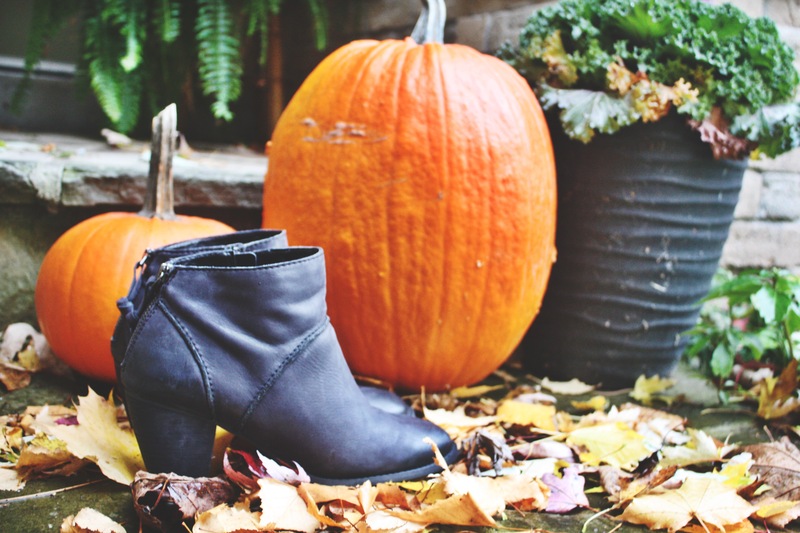 Every girl needs a pair (okay, a few pairs) of heeled booties. I found the perfect pair of beige booties last year and wear them all the time but I was dying for a black pair. I found these beauties on a trip to Nordstrom Rack. They fit perfectly and go with everything; did I mention how comfy they are too? I’m all about beautiful shoes but if I can’t wear them for more than a few hours at a time, I know I’ll bury them in my closet and they won’t come out. 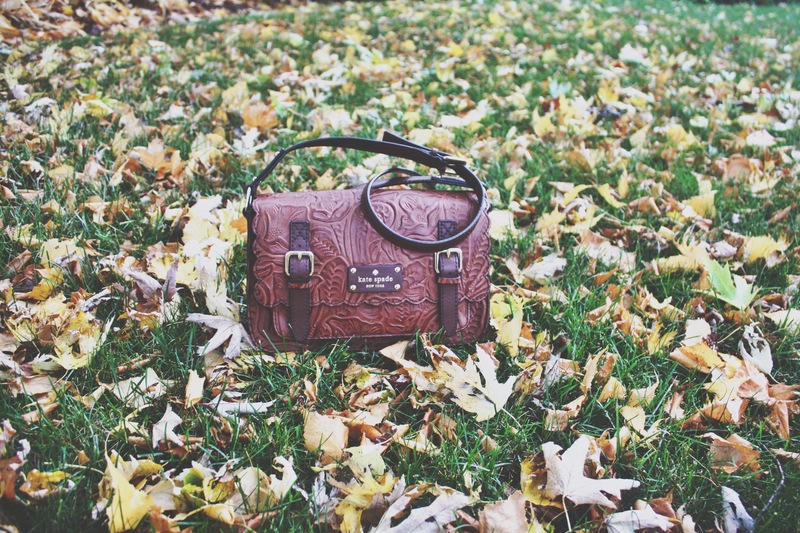 My final fall must have has to be the perfect bag. Now, I saw this bag a year ago at Kate Spade and I couldn’t get it out of my head. It was the perfect size and shape but at that time I just didn’t need it and couldn’t justify the almost $500 price tag. This year, just before my birthday, I decided to treat myself. I love this little guy so much, it’s the perfect bag. Super versatile and can be worn with anything. I think with just a few fun accessories and a core group of classic items, travelling can be made much easier!